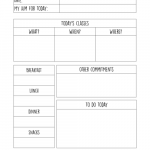 Great printable for those kids that pack a lunch and a snack. Keep the snack separate and labeled! 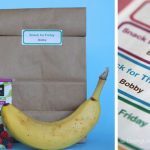 Click here to get these FREE School Snack Labels Printables from Living Locurto. 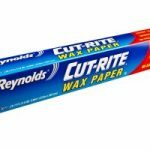 Perfect for your home or your classroom. 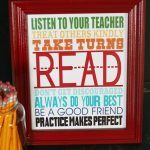 Surprise your teacher by adding this printable to a frame or attach to a clipboard for the classroom. 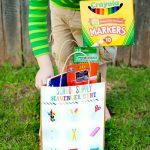 Click here to get this FREE Back to School Subway Art Printable from Eighteen 25. 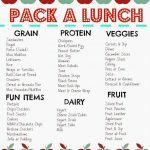 Use this printable chart to make sure you are hitting all the food groups when you pack the kids lunches. Also great to help kids pack their own lunches! 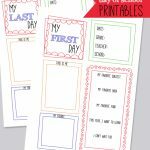 Click here to get this FREE Pack a Lunch Printable from The Chirping Moms. 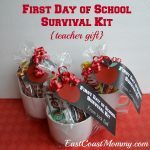 Here’s a great way to introduce your child to their new teacher. Print this letter and have your child fill out this question and answer sheet. 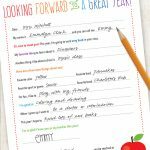 Click here to get this FREE Back to School Teacher Letter from Chickabug.